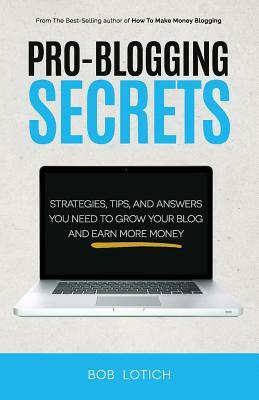 Pro-Blogging Secrets is the follow-up to Bob's Best-Selling book How to Make Money Blogging: How I Replaced my Day-Job with My Blog. Are you looking to grow your blog's audience? Use social media effectively? Increase your earnings? Bob is a full-time blogger and has had the 'best job in the world' for the last 5 years. He has helped thousands of bloggers improve their blogs via his books and coaching. His first book How to Make Money Blogging: How I Replaced my Day-Job with My Blog has become an Amazon best-seller. Download it for free at BlogBusiness101.com.